Perhaps instead of "small scale style" I should have said "miniature scale style" because that is exactly what this post is about. 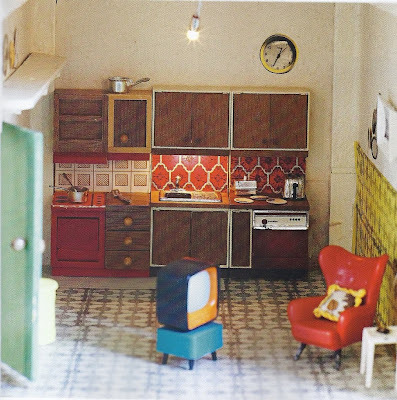 This amazing miniature dollhouse was decorated by Emily Chalmers, author of numerous design books (including Flea Market Style blogged about here) and owner of London based store, Caravan. True to Emily's style, the home is filled with vintage pieces and fantastic patterns including hand printed wallpapers by Deborah Bowness. I have strange love for all things miniature and if I had any patience, I'd run out right now and buy a dollhouse just so I could decorate it. Isn't this little house just amazing? a doll house? really? AMAZING! Great post! I too love all things miniature! Just the other day I was at the store looking at toys and thinking how I can't wait till my daughter is big enough to get her all those tiny little playsets. This doll house is gorgeous! Totally unique! Looks like the apartment of a young hip single gal! What is it about miniatures? Seriously, these are so cool. I love that ladder posed like they're about to hang those pictures. too funny. I love this. 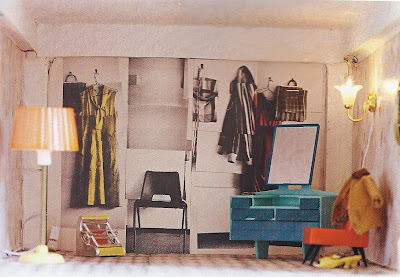 I one day would love to have a modern doll house & get all the lil miniature things for it!! The mini paintings look so pretty in the cute lil room & I love the photo of the mini library!! That is amazing! And yes totally makes me want to build a dollhouse again!! I love the miniature Vitra chairs but, where to place them? I was searching out a Lego house kit and wondering if it would appease both my puzzle mind and my aesthetic sense, and doubting still. The needs to be more options for big modern girls and boys to build. This is amazing! 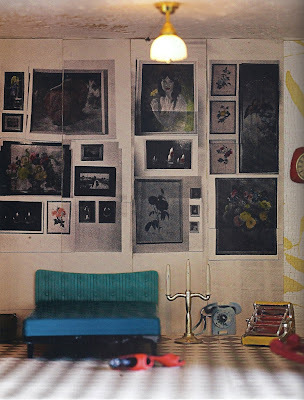 i love the library wallpaper and the decorating room.. gorgeous! 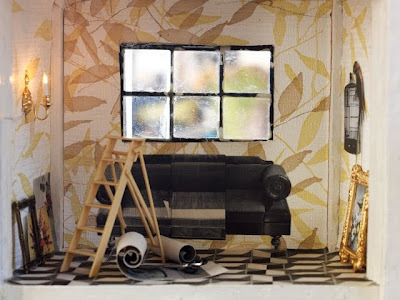 Ooh this makes me want to decorate a doll house too! So nifty! So adorable! Love doll houses! wow, that is some of the coolest wallpaper i've seen yet!! :) such lovely inspiration, thanks friend! I, too, love anything miniature, especially when the details are as amazing as this!! adore the modern take on miniatures! Oh my gosh, so cute! 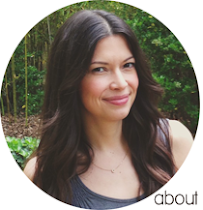 I have always been nuts about dollhouses (loved rearranging mine until I was way too old!). I still slow down if we pass any shop with minature stuff and can't wait until I have a little girl just so I can play with her dollhouse. Thanks for sharing these cool pictures!